Commander Mustafa Kemal (Ataturk) is fourth from the left. He is standing with the officers and staff of his Anafarta group. The overall commander of the Ottoman Army on the Gallipoli peninsula was General Otto Liman von Sanders, a German. Mustafa Kemal, later known as Atatürk, was the young commander of the Ottoman 19th Division. Kemal played a crucial role in defending Ottoman positions on 25 April 1915 and later led the Ottoman counter-attacks to recapture Chunuk Bair during the Sari Bair offensive. 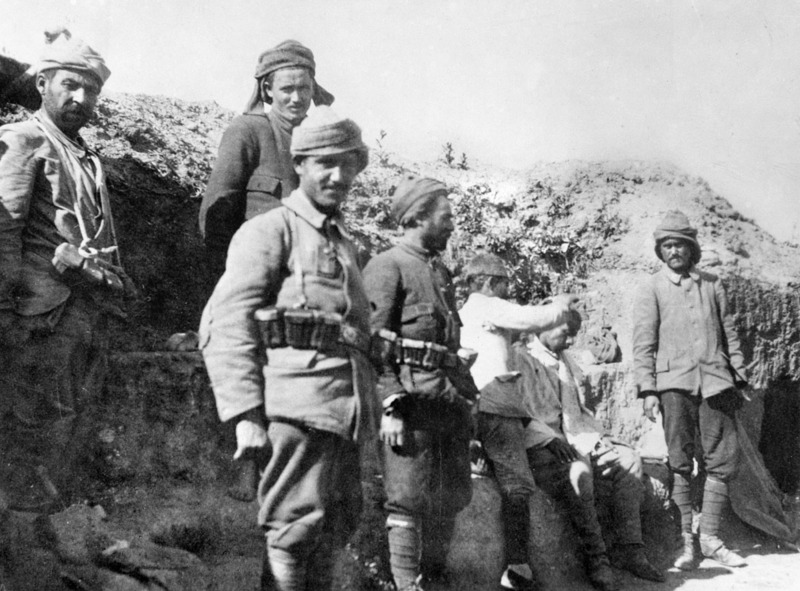 Throughout the Gallipoli campaign, Turkish troops received little or no pay, and many fought in bare feet. In desperation, they took boots and clothes off dead Allied soldiers. Others used material from sandbags to patch their uniforms. There were shortages of food and medical supplies amongst Ottoman troops, and serious wounds often resulted in death. A group of Turkish soldiers in a deep trench with one soldier cutting another's hair. This is probably a reserve trench as some of the soldiers are not armed. Like the Allies, the Ottoman Army also faced problems evacuating their wounded from Anzac. With limited medical facilities on Gallipoli, wounded Ottoman soldiers had to be sent to hospital ships on the other side of the peninsula. 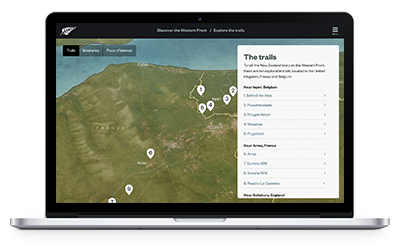 This trip could last 8–10 hours and many Ottoman soldiers died waiting for evacuation. Transportation improved later in the campaign. Ian McGibbon describes New Zealand and Turkey's post-war relations. "Shortly after the First World War, New Zealanders and Turks almost came to blows again. This was primarily because of the way that the Turkish War of Independence unfolded. Mustafa Kemal, leading the nationalist forces, defeated the Greeks well in the interior of the country and drove towards the coast. Eventually his forces reached Canakkale, where the British had troops in occupation – because the Straits at that stage were to be controlled by the Allies – and it appeared that there was going to be another war if those troops immediately clashed with the British. "So the British government sent a message to Wellington, asking if war broke out with the Turks would New Zealand support the British in that war. And this arrived while the Governor General, Lord Jellicoe, was having dinner with most of the cabinet, so the message was brought in and they discussed it, and one hour later they sent back a message saying New Zealand will support Britain if war breaks out. The Australians took about three days. Canada and South Africa both refused point blank to be involved in a war, which was quite a big development in Commonwealth relations at the time. "In the aftermath of that decision the government immediately began creating a force to take part in the war, and within a fortnight 14,000 New Zealanders had signed up to form the new expeditionary force that was going to have another battle against ‘Johnny Turk’, and I think about 100 women as well who wanted to be nurses. I think the motivation was probably similar to that of 1914, which was on a similar scale. Probably the idea of an adventure, might have been men who were 19 or 20 in 1918 who thought they’d missed their war. It’s sort of mind boggling, because the casualties had been so horrendous in the First World War, that so many New Zealanders were willing to go and have another go at the Turks." Most of the Ottoman Army were illiterate, with only five percent able to read or write. Those soldiers who could read and write sent letters home, and eagerly awaited letters in return. The longest Turkish letter to survive the Gallipoli campaign battle is from Captain Mehmet Tevfik to his parents. ‘I am writing these lines so you will have something to remember me by,’ wrote Tevfik from Anzac on 31 May 1915. ‘You, as my parents, did all you could to raise me and make it possible for me to serve my country and my people. But, I do not hope to survive future battles in which I will fight.’ Tevfik was killed two weeks later. 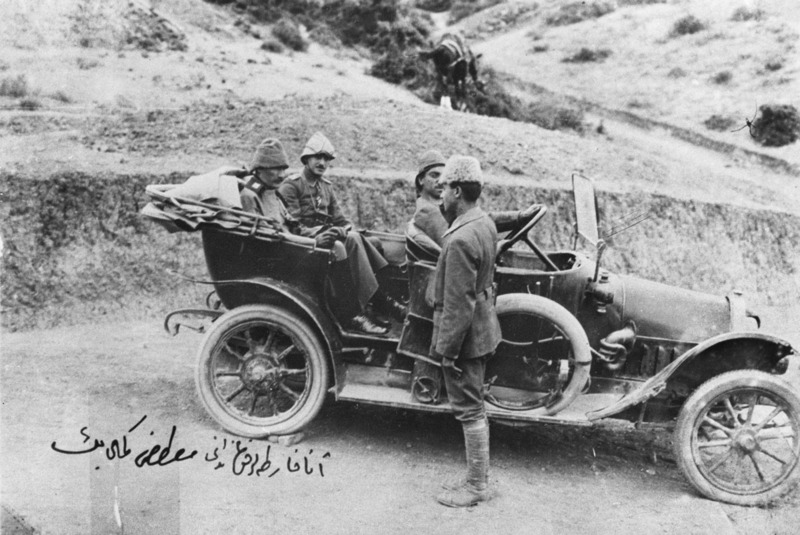 Ataturk (Mustafa Kemal), uses a motor vehicle to inspect Turkish defences on the perimeter. After the Ottoman Army was defeated, an Armistice was declared in October 1918. Mustafa Kemal then became leader of Turkish nationalist forces in the post-war conflicts that ensued. These conflicts resulted in the establishment of the Republic of Turkey. Mustafa Kemal became the first president of Turkey in 1923. Grant was a chaplain at Gallipoli, who frequently braved enemy fire to attend to the men. It broke the evacuating soldiers' hearts to leave dead friends, and they were determined to honour them. 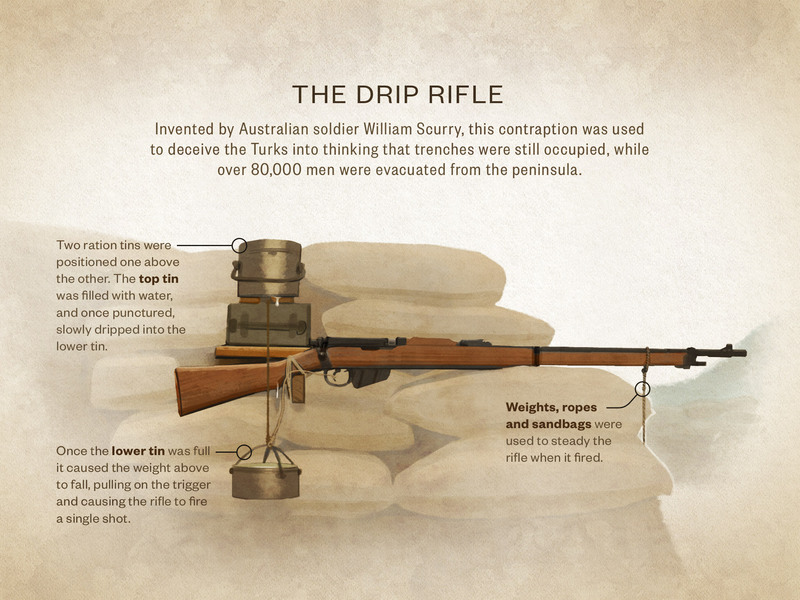 For the remaining Anzacs, exposed in their trenches, a stormy winter was the last straw. New Zealanders demanded a way to remember - so the first Anzac Day was held in 1916. Twisleton was one of 400 sick, exhausted New Zealanders who took part in the Battle for Hill 60. Powles and his regiment were some of the last to leave Gallipoli – they were among the ‘diehards’.